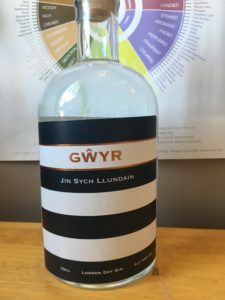 Note: I met the lovely team behind Gŵyr gin at Junipalooza and they kindly sent me a bottle to try, as always I’ll let you know what I think. Gŵyr gin (pronounced Gower for us non-Welsh language speakers) hails from South Wales. They keep the recipe fairly simple and use only eight botanicals – juniper meets lemon and pink grapefruit balanced with bronze and green fennel. They aim to “capture the freshness of the sea” – a theme which carries through to their branding and distinctive navy-inspired label. As they are based just outside of Swansea, the hints of copper on the label hark back to the 18th and 19th century when Swansea was famous for its copper industry. Cracking open my bottle, the smell that drifts towards me is earthy and a touch spicy. In the glass, smoother, vanilla notes come forward but keeping it’s base in the juniper. With a touch of water mixed in, a warming curry note comes out (I would know, I’ve had three curries this week) – the warmth you get when you bite into a cardamom pod is the only way I can describe this. The taste isn’t quite as intense as the smell, but it is VERY easy to drink and just leaves a slight spice lingering in your mouth. The fennel leaves an menthol aftertaste that you only notice when you breathe in straight after which tingles your tongue. Mixing the gin with a splash of Fever Tree tonic and suddenly the spice is back – I’m currently at a 50/50 ratio of gin to tonic and the spice is quite intense. There’s hint of heat before it mellows to a very aromatic and flavourful spice – it’s rounded and complex and I imagine this comes from the mix of aniseedy-fennel and the tartness of the citrus. By adding a touch more tonic, I was about to say the lemon becomes the main flavour, but then I realised that I just put some hand cream on and this stuff smells STRONG so I’ll just wait a moment for that to sink in a bit…so anyway, the spice is still there but toned down. 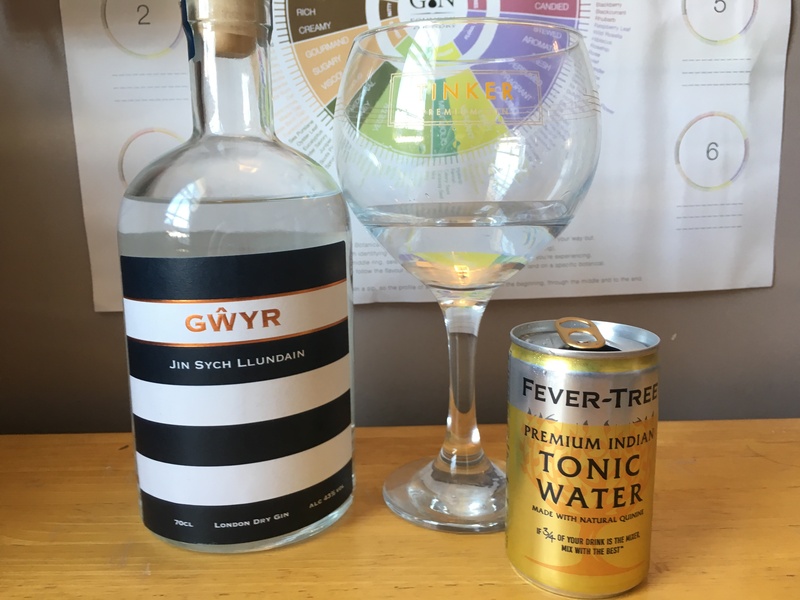 This for me is preferable, I like the flavour the spice brings, but by adding around 100ml tonic to the 50ml of gin (rather than 50ml), it becomes more palatable and I can now imagine drinking more than one of these. Overall, well balanced, juniper led and the spices adds an extra element that keeps you coming back for more. You can buy a 70cl bottle of 43% Gŵyr gin from Master of Malt for £39.95 (at time of writing). Is this on the pricier side? Yes. Worth it? I think so. I don’t know if this will become my ‘everyday’ gin, but it’s a nice gin to bring out and show off to your friends on a nice sunny day. You can find Gŵyr gin on Facebook, Twitter and Instagram. 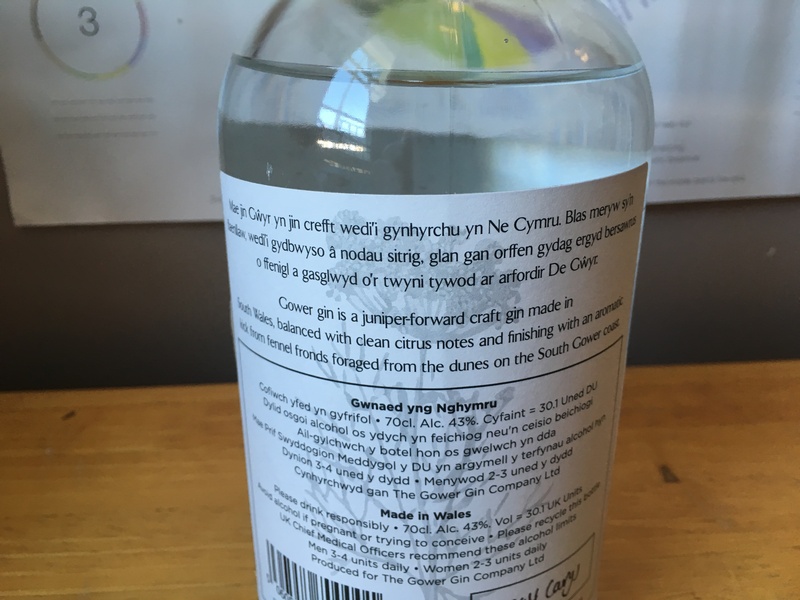 Have you tried Gŵyr gin? Let me know your thoughts on Twitter and Instagram.